Recent research into how prostate cancer reacts to hormone therapy has revealed a startling and paradoxical trend: in some cases, these cancers have spread in the face of hormone therapy. Hormone therapy — also called androgen deprivation therapy, or ADT — is a common treatment for localized prostate cancer. ADT is widely considered to be an excellent treatment for slowing the spread of many prostate cancers, often extending survival rates for two to three years, but it’s not without its drawbacks and side effects. However, hormone therapy wouldn’t be a recommended treatment if the benefits didn’t outweigh the drawbacks. Yet this new research from a team of scientists from Cedars-Sinai Medical Center in Los Angeles finds some startling evidence: in some cases, ADT might cause cancer cells to develop a resistance to hormone therapy, paving the way for rampant growth. Based on the study, Cedars-Sinai researchers feel the mechanism for this change lies in how adenocarcinoma, a common type of cancer cell, responds to ADT. These cells seem to somehow change to become neuroendocrine cancer cells instead, an extremely rare form that afflicts less than 1 percent of men diagnosed with prostate cancer. Neuroendocrine cells are, unfortunately, much more aggressive than adenocarcinoma cells. The process for this transformation lies in how hormone therapy can sometimes trigger the production of an amino acid known as glutamine in tissues that are in close proximity to tumors. Cancer cells can use this amino acid as fuel, which is well known; what’s new, though is the role that glutamine has in creating these supercharged cancer cells. If there’s any positive note that comes out of this rather distressing news, Simple blood tests can monitor the amount of glutamine production in a patient undergoing hormone therapy, which means that doctors may be able to monitor patients closely to determine if glutamine levels are spiking. This can be an indicator to slow down or halt hormone therapy altogether to prevent a patient’s cancer developing into a more aggressive type. More research will be needed to determine when glutamine levels reach these thresholds. 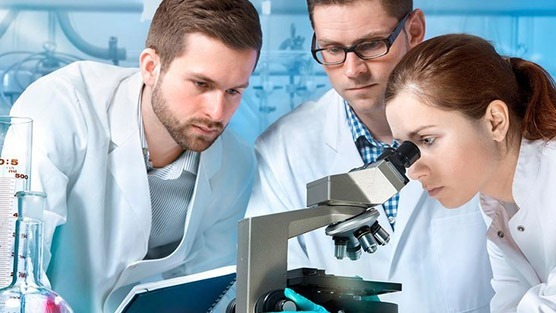 Scientists involved in the original study are currently formulating plans to test this new hypothesis, as this may help in the creation of a failsafe for patients undergoing ADT in the future, allowing them to alter treatment before the point of no return.